This entry was posted in Reviews and tagged Andrew Dalhouse, Barry Allen, Brett Booth, Flash, Livesay, Norm Rapmund, Robert Venditti, Ron Frenz, Van Jensen, Wally West on April 30, 2014 by Ed Garrett. IGN reveals 5 of Mike Allred’s 19 variant covers honoring the 1966 Batman TV show in May, including this wonderfully recursive image for The Flash #31. 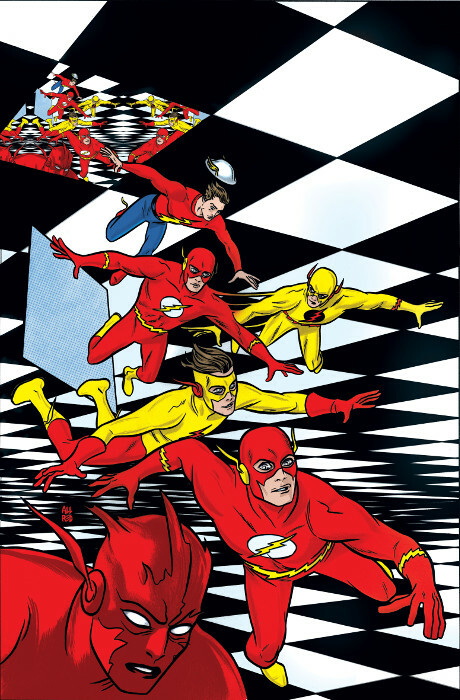 This entry was posted in Covers and tagged Barry Allen, Batman 66, Jay Garrick, Mike Allred, Professor Zoom, Variant Covers, Wally West on April 29, 2014 by Kelson. 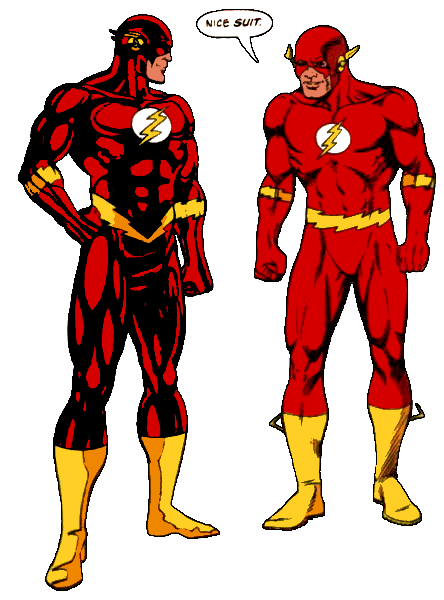 Flash TV Talk has been doing a four-part Wally West/Young Justice retrospective: Part 1 – Part 2 – Part 3 – Part 4. This entry was posted in Round-Ups and tagged Linkblogging on April 27, 2014 by Kelson. Buccellato and Tuazon’s “FOSTER” is being collected – In its original run, only 5 of the 6 issues made it to print, though the last issue was published digitally. Now the whole story is being collected in a paperback. 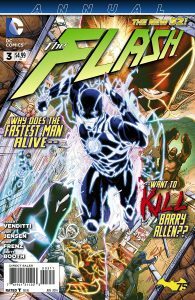 Hot on the heels of their debut issue in Flash #30, the new creative team of Robert Venditti, Van Jensen, Brett Booth and Norm Rapmund speed into The Flash Annual #3 just one week later. IGN has a preview of the issue. This entry was posted in Flash News on April 25, 2014 by Kelson.